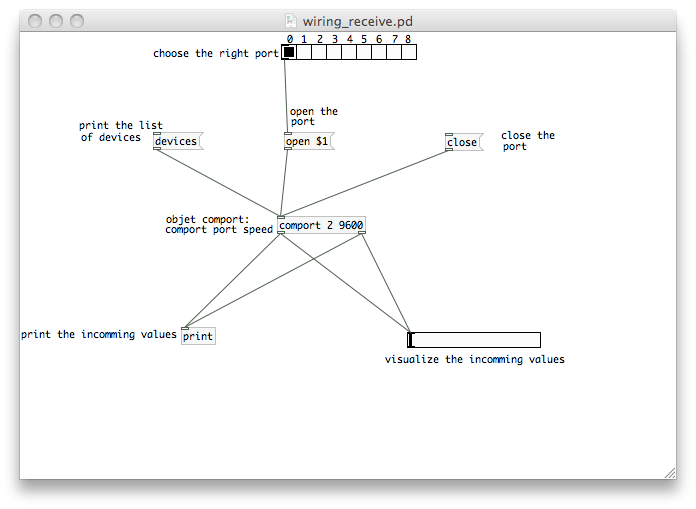 This tutorial introduces the basic interfacing between the Wiring hardware and Pure Data http://puredata.info. The brief for the tutorial will be to read simple values from the Wiring board. 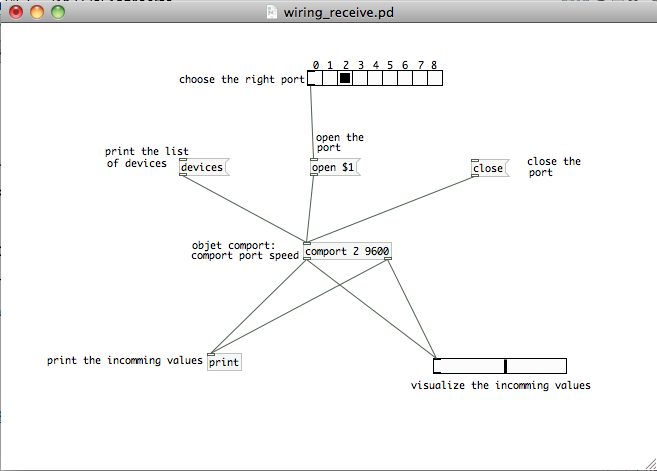 It assumes the Wiring software and Pure Data are installed and the proper Wiring setup has been previously completed. For more Information on Wiring install check out the tutorials about Wiring installation and software setup. 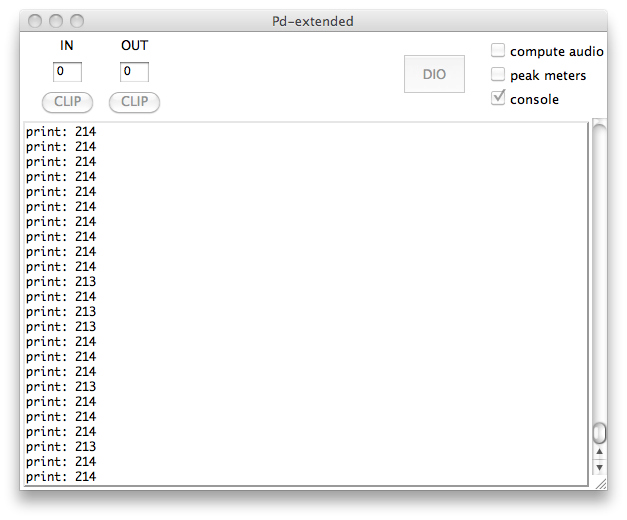 Next step is to setup things in Pure Data. Start Pure Data. 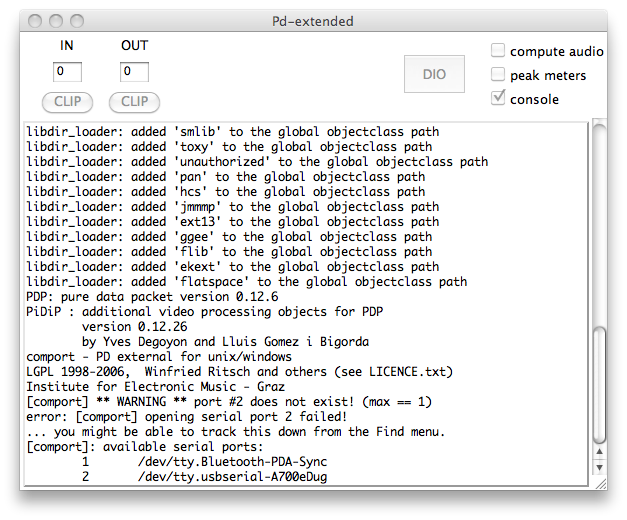 Note: The object "comport" has 2 attributes, the first one is the port number and the second one is the speed of the port which should match the speed set in the Wiring program. Routing the connections sometimes produce a more readable patch, now the patch is ready to be tested, set the right port in the list, automatically the port start to receiving data. The incoming data will be shown in the console and visualized int the horizontal slider.